Wow, what stellar guidance that was, no? I’ve learned a few things over the years, and one of those things is that kids are used to STEPS. This led to my development of the “beginner baby steps” of descriptive writing. We start with a painting. I explain to them the reason for describing a painting–it’s so we are all looking at and talking about the same thing. When we write narratives, real or imagined, the writer has the scene in their head. The struggle is getting that scene on paper in a way that allows the reader to visualize the same scene. 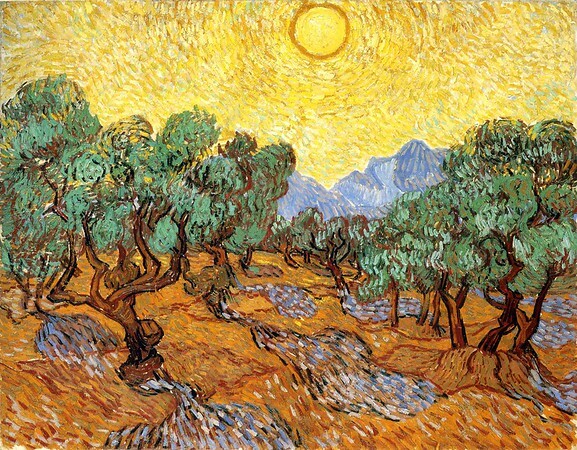 This past week, my sixth graders worked with Olive Trees with Yellow Sky and Sun by Van Gogh. 1. 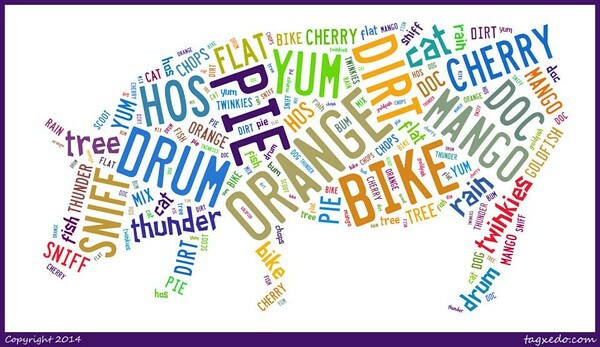 Write down all of the objects you see (or features if you are describing a person/animal). 2. Brainstorm a list of words and phrases to describe each object. Then, refine/improve your list, using a thesaurus or other tools. 3. Write an interesting sentence about each object. 4. Combine your sentences into a paragraph containing a main idea. EVERYONE can write down the objects they see in the painting (sun, sky, trees, mountains, ground). 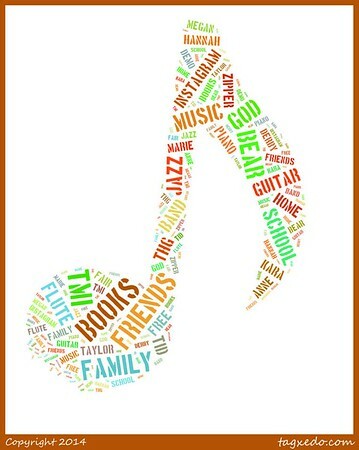 EVERYONE can write a few simple words to describe those items, and EVERYONE can write one sentence about each object. It’s still not stellar. As a part of this descriptive writing unit we go over the “Write like Judy Schachner” writing strategies that I’ve written about before. I then ask them to add a writing strategy to their sentence. They might write something like, “The hot yellow sun watches over the land below like a guard of a kingdom.” Still not completely impressive, but 10x better than what they come up with on their own. And they are often so proud of these sentences! The thing I like the most about the “beginner baby steps” is if they are stuck, they have something to do. Sometimes it’s like “priming”–they just need to get started and then ideas start flowing! This year I combined this peer sharing activity into the unit as another way to practice writing descriptively. Our final step will be to come back to personal narratives that we’ve been working on and add at least one very descriptive scene to them. 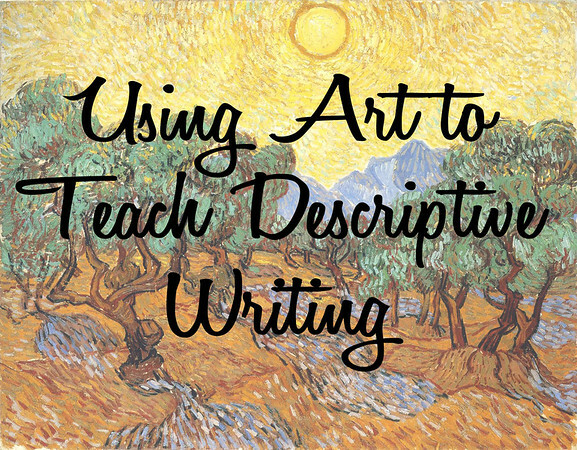 How do you get your middle school students to write more descriptively? Help me out! I’m always looking for new fun things to try. If you try this idea, let me know how it goes! I am not feeling very bloggy this week, but I feel part of a blogger is making a commitment to keep posting even if you aren’t feeling it. This just week I was explaining to my students that with writing, sometimes you feel it and sometimes you don’t, and sometimes, if you have an assignment due, you just have to force it out. I said this while I was modeling writing an essay for them. I think this is one of the most important things a writing teacher can do–model writing and the method a writer uses to improve an essay. Students often think that writing should flow right out of their pen (or keyboard), in order. They think that good writers just whip things out and it’s good from the start. Some can, of course, but that is rare. Most people jot a few things down, revise, come back, revamp, add, delete, etc. many times before something is ready for grading or publication. I show them my very first draft. I purposely make it pretty bad to start with, usually a stream of consciousness type of thing (not unlike this blog now that I think about it). If I show them a final draft, most cannot relate to me as a writer. However, seeing that I start with something not-so-impressive helps them to see that in time, essays can go from horrible to great. Then, I do some revising while they watch me on the projection screen. I think aloud while I write. It takes some practice for them. In the beginning, when I pause, they start shouting out ideas. I explain that I’m not pausing because I want help; I’m pausing to think. I explain my struggles with words, I consult a thesaurus or dictionary, I delete and/or add large sections, etc. I change my mind a lot. Sometimes instead of talking my way through it I just write. I also work on sections out of order, write myself little notes in the margins, and flag areas that I know I need to work on later. I spend maybe 5 minutes doing this before we move on to something else. Every few days, I show them more of my progress, and do a little writing. I typically work on one essay for all three classes of a grade level, so I don’t have much to do outside of class. Each class gets to watch me do a little part of it at each step. I always share my final draft and place it in a folder where they can look at it whenever they want, along with essays I’ve written in previous years. As their writing teacher, it’s important for my students to see me as a writer. Praise God I only teach junior high because I’m not sure my writing is beyond that level! If you are a writing teacher and you haven’t written in front of your students, you really need to start. I think it’s one of the most valuable teaching strategies for writing teachers! 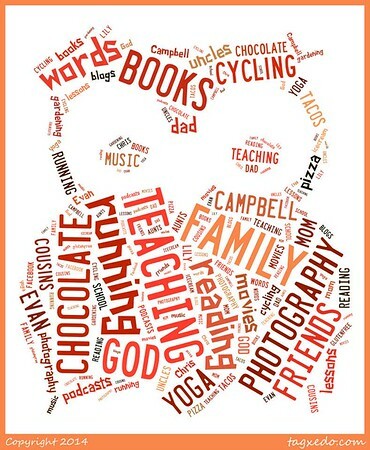 This year, my 7th graders created Tagxedos as an “about me” first week of school activity. I like to have student work displayed at open house in September, so my 6th graders will have concrete poems to show off and my 7th graders can show their Tagxedos. 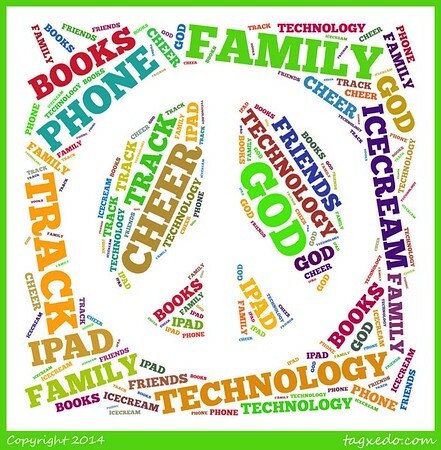 Tagxedo.com is similar to Wordle.com in that it creates a shape out of words. 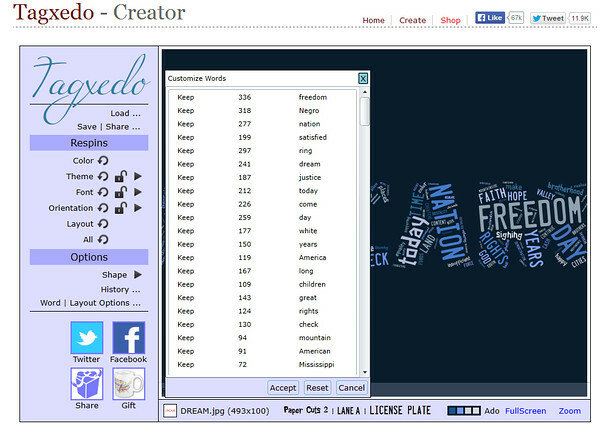 In Tagxedo, you can create many different shapes or even custom shapes. 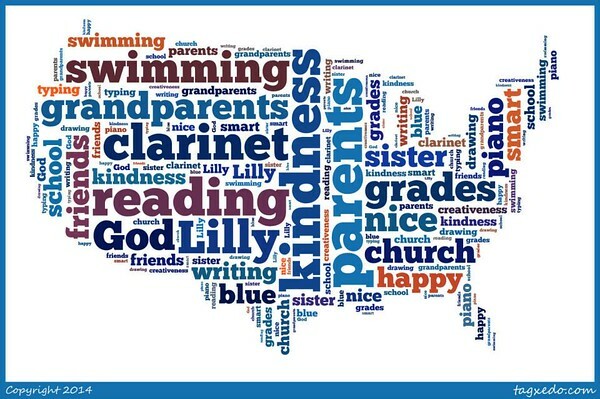 In Wordle, last I tried it, you could only create clouds. 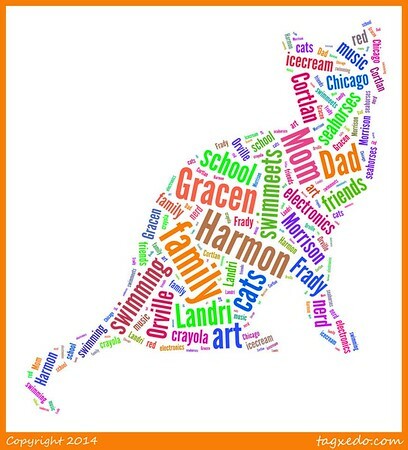 The cool thing that many people don’t know about Tagxedo and Wordle is that the more times a word is repeated, the larger the word appears. This makes it a cool trick to help discover themes in speeches, text, etc. 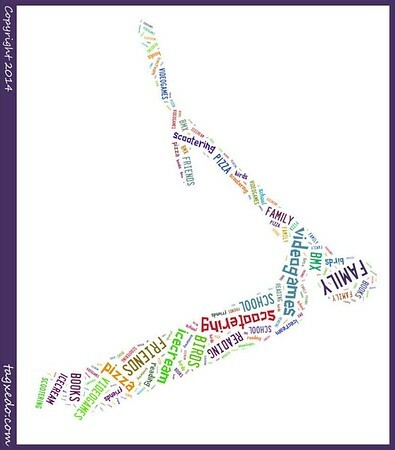 Start off by choosing the text for your Tagxedo. You can either create a list of words (or a sentences) yourself, copy and paste text, or use a website. 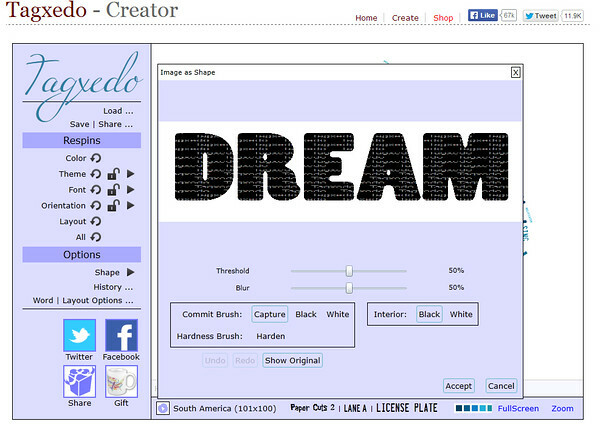 Go to Tagxedo.com and click “load” to enter the text. For this example, I copied & pasted the text of Martin Luther King’s “I Have a Dream” speech. 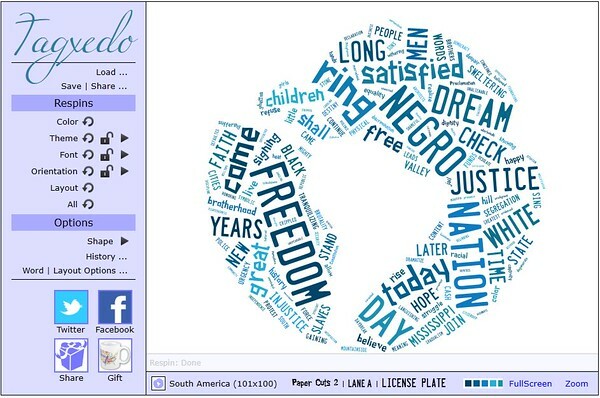 Here’s the default Tagxedo shape created with the text of MLK’s speech. Remember, the larger a word is, the more it was repeated in the speech. Pretty cool, huh? Next, choose the shape. You can select one of their shapes or upload their own. The uploaded shapes work best if they are simple black and white images (not photographs). I couldn’t find a MLK photo that worked so I made the word “DREAM” into an image and uploaded that. Then you can choose your color theme. The border of the theme is the background color. I made my students choose themes with white backgrounds to conserve printer ink. 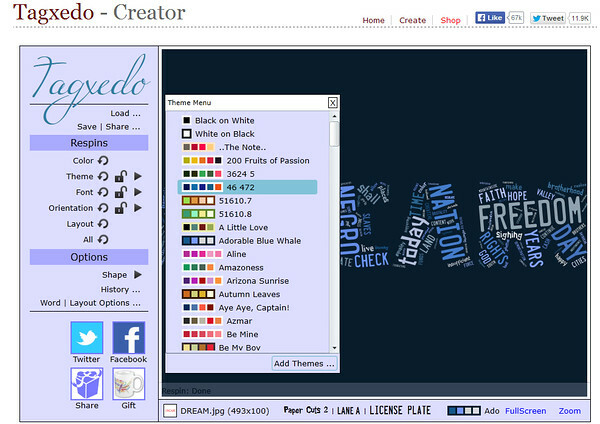 You can also create custom themes. 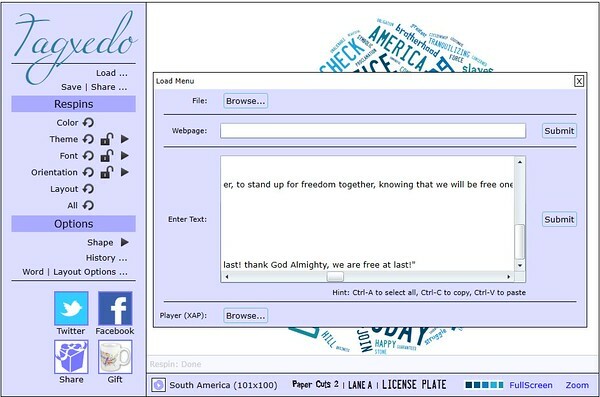 You are able to customize the fonts used and the layout. One of the interesting options in the Word/Layout options is seeing how many times each word is repeated. You can even remove words. 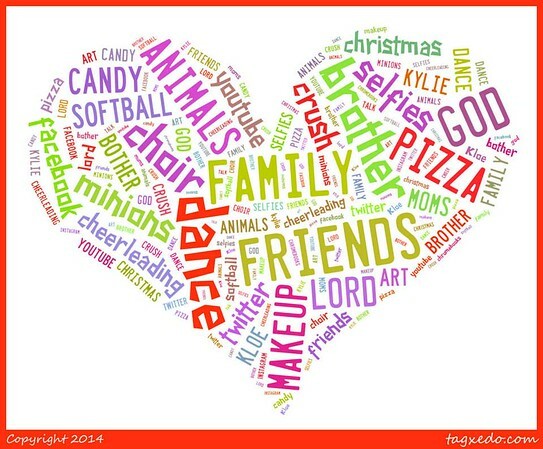 Once you’ve modified your Tagxedo to your liking, go to “save/share”. You can save as a JPG, PNG, or print. You can also create a URL. I made a video for my students to demonstrate how to make a Tagxedo and how to save it then upload it to their Google drive. It was a fun and easy project and a cool way to decorate the room. 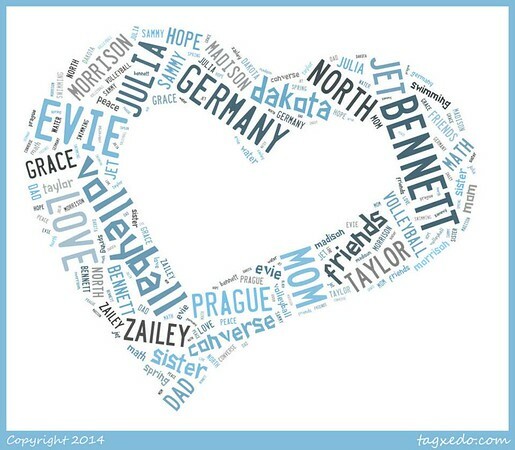 Have you tried a Tagxedo? I’d love to hear all about it!